Kalamazoo, Michigan // 33,000 sq. ft.
Kalamazoo Christian School Association wished to re-envision how education was delivered to their 5th to 8th-grade students. This important transitional period in a child’s education was hampered by aged facilities, and there was a physical disconnect from other amenities. KCSA’s long-term strategy included consolidating operations into the existing elementary school facility. 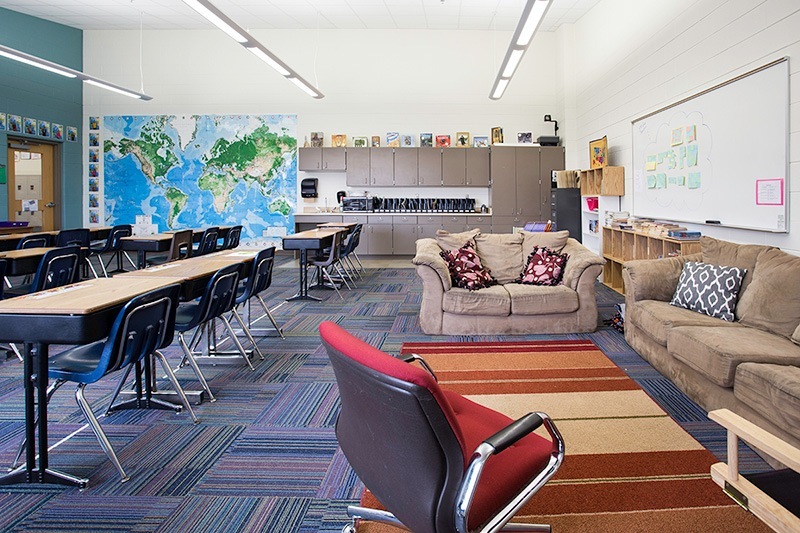 By siting the middle school as an addition on the south end of the elementary, many existing functions (gym, media center, front office) can still be utilized while creating enough separation to allow for its own identity. 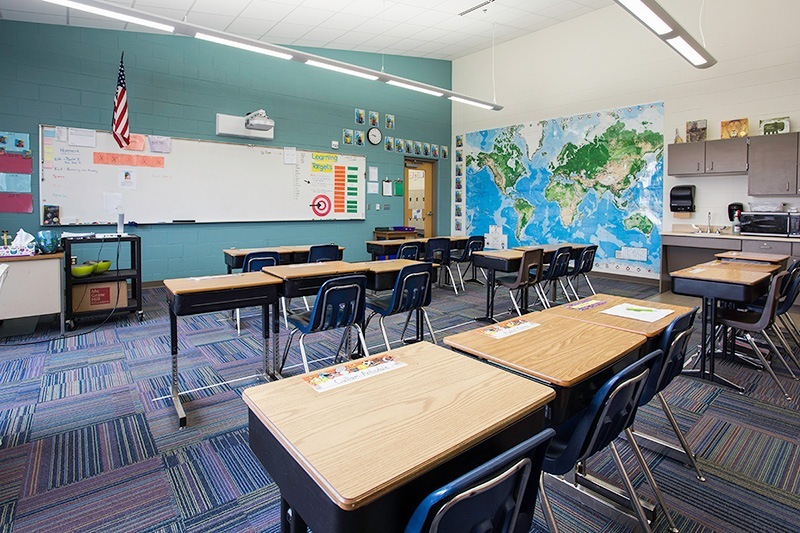 Group rooms between classrooms allow for break-out learning sessions and group work exercises. 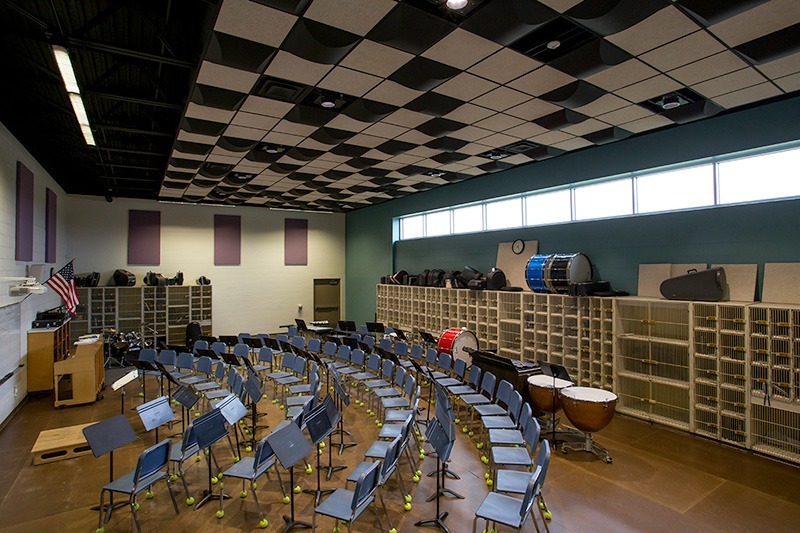 The program was split into two distinct wings, with building forms more appropriate for a middle school environment. 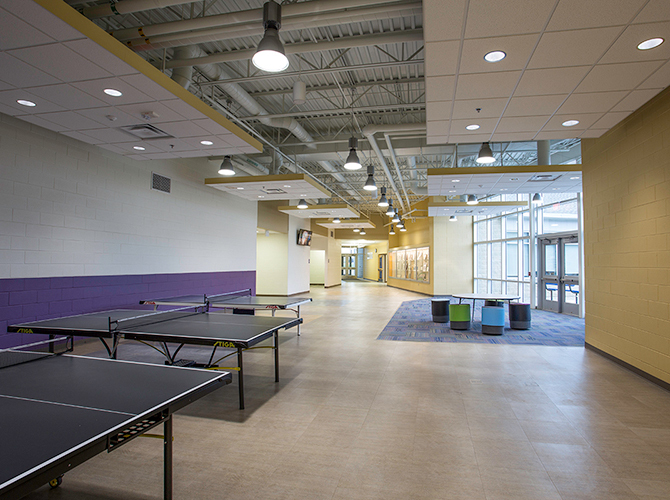 The large gathering space at the intersection of the wings allows for the entire school to meet for assemblies and serves as a hub for between-class interaction. With science classrooms flanking the interior of the wings, the outdoor courtyard between the spaces is utilized as a science lab. This “outdoor classroom” is used for gardening and life science education.